Here at Newgale Lodge, we want you to be 100% confident with your booking! We’ve added some reviews from previous guests for you to see!  So, whether you want to get a better idea of Newgale Lodge or some ideas for what you can do during your stay, you’ll find the answer here! Have stayed at Newgale Lodge several times now and it’s perfect for a group adventure break in the Newgale or St Davids area of Pembrokeshire. Fantastic group facilities and friendly team. Can link up with great providers to create the perfect active break and are really accommodating. Would recommend. Happy to stay here again in future, so close to beach, restaurant, gorgeous walks and lovely towns. Also will recommend to friends and family! The site has a great looking adventure climbing and confidence frame, we didn’t get a chance to go on it but hopefully in the future when the kids are a bit older! Room Tip: Was a large space with a large bed! Don’t worry about only packing light and compact! Excellent experience from all our football team family members. Pizza night was highlight! Thoroughly recommend location for large groups, safe, cost efficient and friendly. We may well be back next year! Our stay at Newgale Lodge was excellent. As a group of 16 we had plenty of room, with great facilities including the dining room, conservatory and games room to hang out in. The lodge was in excellent condition and very clean on arrival. The beds were comfortable and linen was provided making for a comfortable two nights. Bonuses included the games room with ping pong and pool, along with the cooked breakfasts. The catering was brill! With the friendly staff and proximity to the beaches and towns of N. Pembs, I would definitely recommend and hope to return. Superb service, friendly staff. We went as a group of 20 men, and the staff were completely understanding and accommodating. The breakfast and dinner set up was fantastic, and the freedom the lodge provides is brilliant! We have used Newgale Lodge for the past two years for a Young Person’s residential. The team that they supply for us is out of this world – they are positive, inspiring and always go above and beyond their job roles. The accommodation is clean, modern and very comfortable after a physical day doing activities. The food is always amazing as well. We had a lovely weekend stay at Newgale Lodge. Birds cheeping and leaves rustling, such a wonderfully quiet location. The lodge itself is clean and warm, with well catered facilities including tea/coffee etc in the room, a small kitchenette downstairs and even a fully stocked bar. Bathroom – or more specifically, shower – is my ‘thing’ when staying away. The power shower here did not disappoint – clean, powerful and hot! Bed was super comfy, two singles (fitted together perfectly) made for a giant double. Add the luxurious pillows and duvet… cosy! A short drive to Newgale beach for a windswept walk along the low tide. We popped up to Solva for lunch and into Haverfordwest for dinner. All in all a lovely weekend break, perfect for unwinding and just switching off! (saying that the lodge did have wifi, so we were able to check emails etc). I love this place – so clean, quiet and everything you need. Good food, warm, welcoming and a nice bar. Great for an individual, family or a group. Easy to find, and lots of great places to visit nearby. A fantastic place to stay and we will visit again. The accommodation is in pristine condition and clean. Beds are comfortable. Many extras facilities are provided. A generous continental breakfast. On arrival we received a very warm welcome and fantastic hospitality throughout. Set in a brilliant location for exploring the local area. Great place to stay to get out of the city and into nature . Great recommendations for places to go and eat and close to everything so you can get about with ease. Lovely large room, great hosting and all round lovely couple of nights spent there. Ramsey Lodge is perfect for big groups. There is plenty of space in the kitchen/diner and outside, and didn’t feel cramped at all. The kitchen is well equipped and the lodge itself was clean. Caldey House is lovely. Our room was very spacious and had everything we needed. Our host made sure that there were gluten and dairy-free options for breakfast, on request, which is still rare in my experience and greatly appreciated! Breakfast is self-service and the kitchen is well-equiped, with fruit and snacks available for guests in the evening as well. Great location for checking out Pembrokeshire, some great coastal walks and towns nearby. Accommodation was clean and cosy. The host met us on arrival and was very friendly, would definitely visit again. Just returned from an amazing stag weekend staying at Ramsey Lodge! The hosts were welcoming and even gave us some more groceries that we had forgotten to buy. Situated a 5 minute drive from the stunning Newgale beach where we enjoyed an afternoon’s surfing and paddle-boarding. Ramsey lodge itself was spacious, clean and tidy and had all the amenities listed on airbnb.